Sensory and perceptual development, Self-help skills, PHysical and motor skills, social and emotional growth. Age appropriate, we begin to emphasize on Practical Life, Sensorial, Language and Mathematics. 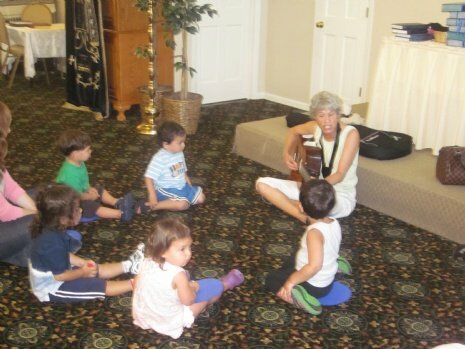 Specialty activities include: art, music, gymastics, baking, Shabbat Party, Challah baking and cultural activities. Different session throughout the year. THe children are stimulated with interactive hands-on music, movement and lots of fun.